WANKULUKUKU – Express FC have had a mixed start to life under former Captain George Ssemwogerere. Eversince Simlala took over, the Red Eagles have won three of their six games (D2 L1). One of those victories coming in the penalty shootout win over Police FC in the Uganda Cup round of 16. 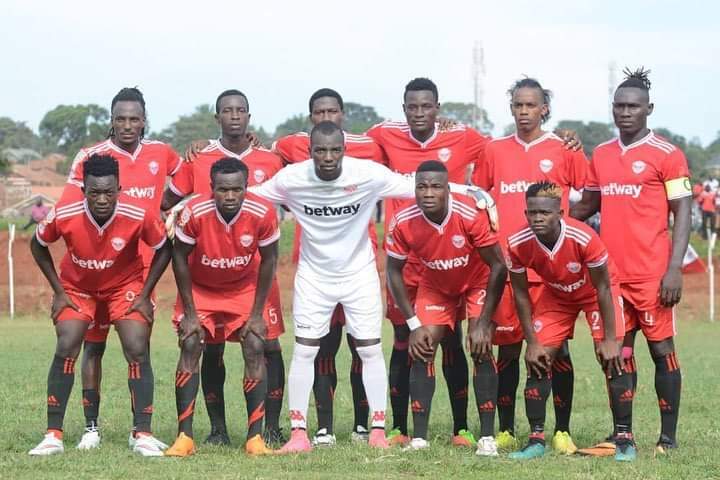 However, they are yet to win a League home game having drawn 1-1 against Maroons in Simlala’s only encounter at the Betway Mutessa II Stadium. On Tuesday afternoon, they have a chance to put that statistic right when they host Mbarara City. Mbarara have been the revelation of the season so far, starting the day in third, 9 points off the top of the League. Despite the impressive run, their away form has not been average and they have been helped out largely due to their winning games at home. 29 of their points tally this season have been accumulated at home, meaning that they have gathered only 10 in as many visits so far. With a point per game on the road, the Ankole Lions will have to be worried coming up against an Express side that is eager to win at home. George Ssemwogerere, Express FC Head Coach. “We know we have an obligation as Express to win games and this one being at home, we have to try as much as we can to take maximum points. “It will not be an easy game as Mbarara have been good this season but we will try and use home advantage to take care of them. Baker Kasule, Mbarara assistant coach. “This will be a tough game as compared to our last win at home to Paidha but we are here for three points. “We know many teams would feel contented in our position but we are not and will be gunning to finish as high as possible. Express will be welcoming back the duo of Frank ‘Zaga’ Tumwesigye and left back Disan Galiwango. Zaga was ineligible to face his parent Club-Vipers while Ggaliwango was serving a one game suspension. However, the Red Eagles are expected to be without the pair of Mubarak Nsubuga and Joel Male who limped out of the Vipers loss. Lawrence Kigonya is also out having accumulated three yellow card. For Mbarara, they will have midfielder Ibrahim Orit return to the team having missed the Paidha Black Angels match because of accumulated cautions. Central defender Rashid Muhammad who limped off in their 2-1 loss away to Kirinya-Jinja S.S has steadily recovered and made the trip to Kampala. However, the Ankole Lions will be without Jasper Aheebwa and striker Siraje Musindo are both still out. This will be the 4th meeting between the two sides ever since Mbarara made their latest return to the top flight in 2017. In the three encounters prior to this, Express have won only once, losing the other two. The home team has won this fixture in all the three meetings. In the reverse fixture last season, Express defeated Mbarara 1-0 before losing 3-1 in the first game this campaign. Going into the game, Express have won only two of their last 9 League games (D3 L4). At home, they have lost only two of their last 11 games (W3 D6). For Mbarara, they have lost only two of their last 7 games across all competitions (W3 D2). However, away from home, the Ankole Lions have won only two of their last 19 games (D7 L9).